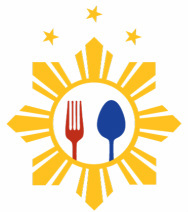 Savor Filipino is a Free Event - so come in, experience the aromas wafting through the air, and grab a tasting platter or three. We have crafted this event so that you can maximize your experience for the day! The menu has been carefully curated to combine a broad educational experience with the personal influences of our talented chefs. There are many ways to prepare these dishes, so in our eclectic mix of indigenous, fusive, and modern interpretations of these dishes, you will find both the traditional roots of the cuisine, as well as the chef's own stamp of quality and style. All food items can be purchased as either tasting platters or select a-la-carte items from one of our 5 cuisine pavilions. Check out the Full Menu for more details. Water Spinach stir fried in Vinegar with Garlic and Soy Sauce. By Chef Charleen Caabay. Local Long Beans sautéed with organic coconut milk. By Chef Charleen Caabay. Seasonal Vegetable medley steamed with shrimp sauce. By Chef Jay-Ar Isagani Pugao. Fresh Lumpia, hand rolled with seasonal vegetables in a light wrapper with special sauce. By Chef Jay-Ar Isagani Pugao. A tasting selection of Adobong Kangkong, Ginataang Sitaw, and Pinakbet. Fried Pork Springrolls with sweet & sour dipping sauce. Of Chinese origin, Filipinized. By Chef Neil Syham. A tasting selection of Kinilaw, Sizzling Sisig, and Filipino BBQ. Turo Turo Gourmet Brand by Ramar Foods. Celebratory roast Pig. Need we say more? Provided by Tastebuds Restaurant. After the lechon is carved, it is combined with sauce and turned into a sweet lechon stew with rice. Tastebuds Restaurant. Stir fried rice & egg noodles topped with Chicken Katsu. Pancit Guisado is one of dozens of varieties of noodle dishes commonly found in the Philippines. By Chef Robert Menor. Best described as a Filipino meatloaf, combines pork, egg, and vienna sausage into a delicious pan-fried patty. Turo Turo Gourmet brand by Ramar Foods. A Visayas version of the popular Laing, sauteed taro leaves and pepper with ground pork in coconut milk with bagoong popular in Ilo Ilo. By Chef Yana Gilbuena. A tasting selectino of Pangat, Embotido, and Lechon Paksiw. Pork braised in vinegar, soy sauce, with garlic, bay leaf, and crispy chicken skin. By Chef AC Boral. Tamarind Soup with Bangus (Milkfish Belly) and vegetables. By Chef Eric Pascual. Braised beef in a thick peanut sauce with blanched vegetables. Served with caramelized Bagoong (shrimp paste). By Chef Michael Santos. Blood stew with pork offal. The oft-called "chocolate meat" is a centuries-old standard in that nothing from the pig is wasted. Nothing. By Chef Jessette Kalsi . A hearty porridge of rice and fish sauce topped with garlic prawns. By Chef Irbille Donia and Justin Legaspi. A tasting selection of Chicken Pork Adobo, Sinigang, and Dinuguan. Cake of rice flour and coconut milk. Native to the Philippines, often cooked on an open flame on a banana leaf. Enjoy a contemporary version as a cupcake! By Binka Bites. Sweet fried banana & jackfruit springroll. Turo Turo Gourmet Brand by Ramar Foods. Served a la mode with your choice of a scoop of our tropical ice cream. A now-beloved "mix-mix" of sweet fruits and beans with shave ice and milk or coconut milk. Includes coconut, jackfruit, sweet chick peas, and azuki beans, provided by Goldilocks. Topped with a scoop of Magnolia Ice Cream by Ramar Foods. Tropical ice cream including Sweet Purple Yam & Avocado Ice cream. Magnolia brand made locally by Ramar Foods. This modern treat has been infused with special Filipino flavors only available at Savor Filipino. Flavors include Ube-Silvana, Polvoron and Manga't Suman. By Sugar & Spun. This traditionally spanish dessert has been enriched by the use of additional egg yolk and condensed milk for a more decadent experience.